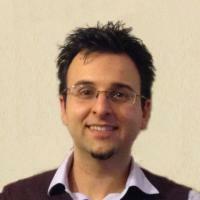 Massimiliano holds a Ph.D. on Information Engineering and a master degree (M.Sc.) on Information Technologies, both received from the University of Pisa. 1 Assante M., Candela L., Castelli D., Tani A. Are scientific data repositories coping with research data publishing?. In: Data Science Journal, vol. 15 article n. 6. Ubiquity Press, 2016. 2 Assante M., Candela L., Manghi P., Pagano P., Castelli D. Providing research infrastructures with data publishing. In: Ercim News, vol. 100 pp. 20 - 21. Special theme: Scientific Data Sharing and Reuse. Costantino Thanos, Andreas Rauber (eds.). ERCIM, 2015. 3 Assante M., Candela L., Castelli D., Manghi P., Pagano P. Science 2.0 Repositories: Time for a Change in Scholarly Communication. In: D-Lib Magazine, vol. 21 (1/2) article n. 4. Special issue on Linking and Contextualizing Publications and Datasets. Laurence Lannom (ed.). Corporation for National Research Initiatives, 2015. 4 Assante M., Candela L., Castelli D., Mangiacrapa F., Pagano P. A social networking research environment for scientific data sharing: the D4Science offering. In: The Grey Journal (TGJ): an international journal on grey literature, vol. 10 (2) pp. 151 - 158. D.J. Farace, J. Frantzen (eds.). TextRelease, 2014. 5 Assante M., Candela L., Castelli D., Pagano P. The D4Science research-oriented social networking facilities. In: Ercim News, vol. 96 (January 2014) article n. 30. ERCIM, 2014. 6 Assante M., Candela L., Pagano P. An environment supporting the production of live research objects. In: The Grey Journal (TGJ): An international journal on grey literature, vol. 9 (1) pp. 24 - 31. D.J. Farace; J. Frantzen (ed.). TextRelease, Amsterdam, 2013. 1 Castelli D., Assante M., Candela L., De Faveri F., Pagano P. Ambienti virtuali di supporto alla ricerca = Virtual Research Environments. In: Le tecnologie del CNR per il mare / Marine Technologies. pp. 145 - 145. Marco Faimail (ed.). Roma: Consiglio Nazionale delle Ricerche, 2013. 2 Assante M., Candela L., Castelli D., Manghi P., Pagano P. Repositories for Open Science: the SciRepo reference model. In: MTSR 2015 - Metadata and Semantics Research. 9th Research Conference (Manchester, UK, 9�11 September 2015). Proceedings, pp. 298 - 311. Emmanouel Garoufallou, Richard J. Hartley, Panorea Gaitanou (eds.). (Communications in Computer and Information Science, vol. 544). Springer, 2015. 3 Assante M., Candela L., Castelli D., Gioia A., Mangiacrapa F., Pagano P. A social networking research environment for scientific data sharing: the D4Science offering. In: GL15 - Fifteenth International Conference on Grey Literature. The Grey Audit: a Field Assessment in Grey Literature (Bratislava, Slovakia, 2-3 December 2013). Proceedings, vol. 15 pp. 151 - 158. D.J. Farace, J. Frantzen, GreyNet InternationalGrey Literature Network Service (eds.). (GL Conference Series, ISSN 1385 2316, vol. 15). TextRelease, Amsterdam, 2014. 4 Assante M., Candela L., Pagano P. An environment supporting the production of live research objects. In: GL14 - Fourteenth International Conference on Grey Literature. Tracking Innovation through Grey Literature (Rome, 29-30 November 2012). Proceedings, pp. 79 - 86. D. Farace, J. Frantzen, GreyNet, GreyNet, Grey Literature Network Service (eds.). (GL-conference series, ISSN 1385-2308, vol. 14). TextRelease, Amsterdam, 2013. 5 Assante M., Pagano P., Candela L., De Faveri F., Lelii L. An approach to virtual research environment user interfaces dynamic construction. In: TPDL 2011 - Research and Advanced Technology for Digital Libraries. 15th International Conference on Theory and Practice of Digital Libraries (Berlin/Heidelberg, 26-28 September 2011). Proceedings, pp. 101 - 109. Gradmann Stefan, Borri Francesca, Meghini Carlo, Schuldt Heiko (eds.). (Lecture Notes in Computer Science, vol. 6966). Springer, 2011. 6 Assante M., Candela L., Castelli D., Frosini L., Lelii L., Manghi P., Manzi A., Pagano P., Simi M. An extensible virtual digital libraries generator. In: ECDL 2008 - Research and Advanced Technology for Digital Libraries. 12th European Conference (Berlin/Heidelberg, 14-19 September 2008). Proceedings, pp. 122 - 134. Birte Christensen-Dalsgaard, Donatella Castelli, Bolette Ammitzboll Jurik, Joan Lippincott (eds.). (Lecture Notes in Computer Science, vol. 5173). Springer, 2008. 7 Assante M., Frosini L. Extensible Digital Library User Portals for e-Infrastructures. In: VLDL 2008 - 1st Workshop on Very Large Digital Libraries (Aarhus, Denmark, 19 September 2008). Proceedings, pp. 67 - 74. Paolo Manghi, Pasquale Pagano, Pavel Zezula (eds.). DELOS: an Association for Digital Libraries, 2008. 2 Assante M., Candela L., Cirillo R., Coro G., Koltsida P., Marioli V., Perciante C., Sinibaldi F. BlueBRIDGE - D9.1 BlueBRIDGE VRE Commons Facilities. Building Research environments for fostering Innovation, Decision making, Governance and Education to support Blue growth. Deliverable D9.1, 2016. 3 Assante M., Perciante C. Indexing and retrieving the D4Science infrastructure social networking data: a search framework. Technical report, 2016. 4 Assante M., Candela L., Frosini L., Lelii L., Mangiacrapa F., Pagano P. SoBigData - SoBigData e-Infrastructure software WP10 release 1. SoBigData Research Infrastructure Social Mining & Big Data Ecosystem. Deliverable D10.5, 2016. 5 Assante M., Candela L., Frosini L., Lelii L., Mangiacrapa F., Pagano P. SoBigData - VRE specification and software 1. SoBigData Research Infrastructure Social Mining & Big Data Ecosystem. Deliverable D10.12, 2016. 6 Assante M., Candela L., Frosini L., Lelii L., Pagano P., Pieve A. The gCube authentication, authorization, and accounting infrastructure. Technical report, 2016. 7 Pagano P., Candela L., Assante M., Frosini L., Manghi P., Bardi A., Sinibaldi F. PARTHENOS - PARTHENOS Cloud Infrastructure. Pooling Activities, Resources and Tools for Heritage Eresearch Networking, Optimization and Synergies. Deliverable D6.1, 2016. 8 Assante M., Baldacci M. B., Candela L., Castelli D., Tani A. Research data publishing in scientific data repositories: a survey. Technical report, 2015. 9 Assante M., Candela L., Castelli D., Manghi P., Pagano P. Research Infrastructure Scientific Communication Systems. Technical report, 2014. 10 Fabriani P., Giammatteo G., Assante M., Laskaris N. IMARINE - Software release activity report. Data e-Infrastructure Initiative for Fisheries Management and Conservation of Marine Living Resources. Deliverable D7.4, 2014. 11 Assante M., Candela L., Castelli D., Mangiacrapa F., Pagano P. The D4Science social networking facilities. Technical report, 2013. 1 Assante M., Perciante C. gCube Social Networking Cloud: News Feed. [Software] Release 2.0.0 , 22 July 2016. 2 Assante M., Perciante C. gCube Social Networking Cloud: share-updates. [Software] Release 2.0.0 , 22 July 2016. 3 Assante M., Perciante C. gCube Social Networking Cloud: top-topics. [Software] Release 2.0.0 , 22 July 2016. 4 Assante M., Perciante C. gCube VRE Definition App. [Software] Release 5.0 , 30 June 2016. 5 Assante M. gCube Social Networking Cloud: News Feed. [Software] Release 1.11.0 , 12 October 2015. 6 Assante M. gCube Social Networking Cloud: share-updates. [Software] Release 1.8.0 , 27 September 2015. 7 Assante M. gCube Social Networking Cloud: social-networking-library. [Software] Release 1.8.1 , 30 September 2015. 8 Assante M. gCube social facilities: news feed. [Software] Release 1.8.0 , 20 October 2014. 9 Assante M. gCube social facilities: share updates. [Software] Release 1.6.0 , 20 October 2014. 10 Assante M. gCube social facilities: social-profile. [Software] Release 1.0.0 , 09 September 2014. 11 Assante M. gCube social facilities: news feed. [Software] Release 1.4.0 , 28 November 2013. 12 Assante M. gCube social facilities: notification system. [Software] Release 1.0.0 , 28 November 2013. 13 Assante M. gCube social facilities: share updates. [Software] Release 1.0.0 , 28 November 2013. 14 Assante M. gCube social facilities: social networking library. [Software] Release 1.4.0 , 28 November 2013. 15 Assante M. gCube Infrastructure Gateway Bundle. [Software] Release 2.1.1 , 11 October 2012. 16 Assante M., Fortunati L. gCube Resources Management App. [Software] Release 2.3 , 18 October 2012. 17 Assante M. gCube Business Document Workflow Management Suite. [Software] Release 1.2 , 27 July 2011. 18 Assante M., Gioia A. gCube Live Reports Generator. [Software] Release 3.6 , 01 July 2011. 19 Assante M., Strollo D. gCube Resources Management App. [Software] Release 1.7 , 01 July 2011. 20 Assante M. gCube Virtual Research Environments Designer. [Software] Release 3.2 , 01 January 2011. 21 Assante M. gCube Live Reports Generator. [Software] Release 3.5.0 , 01 January 2010. 22 Assante M., Strollo D. gCube Resources Management App. [Software] Release 1.2.0 , 01 January 2010. 23 Assante M., Strollo D. gCube Resources Management App. [Software] Release 1.0 , 05 March 2009. 24 Assante M. gCube Live Reports Generator. [Software] Release 1.0 , 26 June 2008. 25 Assante M. gCube Virtual Research Environments Designer. [Software] Release 1.0 , 26 June 2008. 1 Assante M., Candela L., Castelli D., Gioia A., Mangiacrapa F., Pagano P. A social networking research environment for scientific data sharing: the D4Science offering. In: GL15 - Fifteenth International Conference on Grey Literature. The Grey Audit: a field assessment in grey literature (Bratislava, Slovak Republik, 2-3 December 2013). Abstract, pp. 98 - 103. GL TextRelease, 2013. 2 Assante M., Candela L., Castelli D., Pagano P. An environment supporting the production of live research objects. In: GL14 - Fourteenth International Conference on Grey Literature. Tracking Innovation through Grey Literature (Rome, 29-30 November 2012). Abstract, pp. 120 - 125. D.J. Farace, J. Frantzen, GreyNet (eds.). (GL-conference series, ISSN 1385-2308; No 14). TextRelease, Amsterdam, 2012.